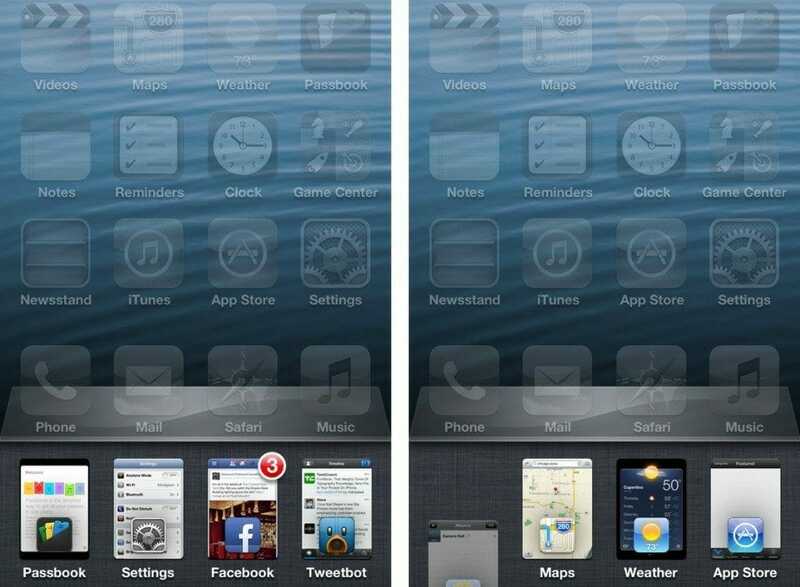 The Auxo App Switcher which was initially made for the iOS 6 is now available on iOS 5.1, it is a great news for the people who are using the iOS 5.1 for some reasons. Auxo works even better on iOS 5.1 as it includes bugs fixes, more languages and performance upgrades. The main reason of the success of this app is that it does not show the icon as the standard stock app changer rather it shows the minimized snapshot of the running app. Swipe down motion can quickly remove the apps. With the multi touch system more than one app can be removed at a time. It is a new thing and much better than the standard tap function. Auxo also changes the display of stock music controls in the app switcher. It shows more information about the song and also album art. It also includes two rows of toggles on the last page form where you can turn on or off Wifi, Bluetooth, 3G etc. Taping long certain icons will take you to the settings of particular function. Most of iPhone 4, iPhone 3GS, and iPod touch 4G users upgraded to iOS 6 in order to run Auxo and other apps as well which are not available on iOS 5.1, people having iPhone 4s cannot do so. Now, with the introduction of the new version of app for iOS 5.1 you cann easily download on iPhone 4s.